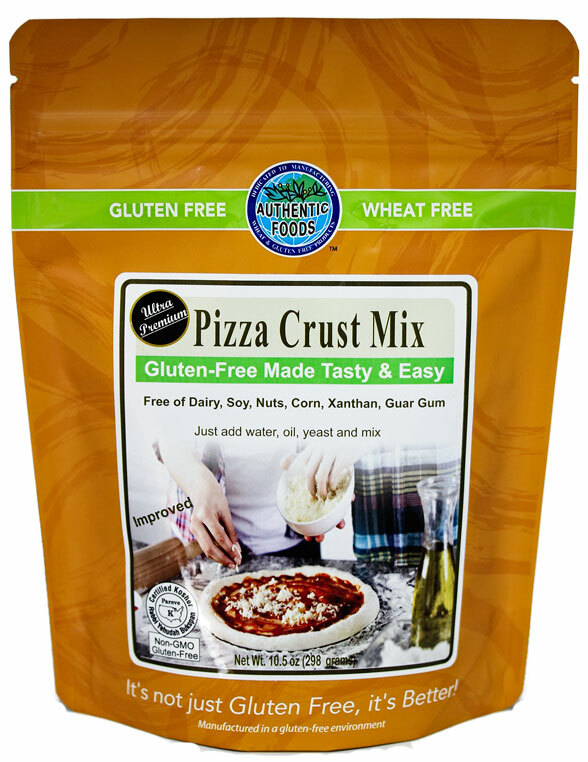 Authentic Foods New Gluten Free Pizza Crust Mix is simple to make creating a dough that rises and bakes to a tasty homemade pizza crust. You can prepare it in three simple steps. 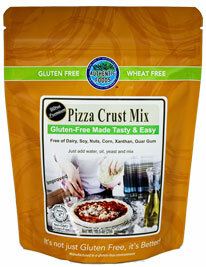 (1) Just add oil, water, yeast, mix, and set aside to rise for 30 minutes. 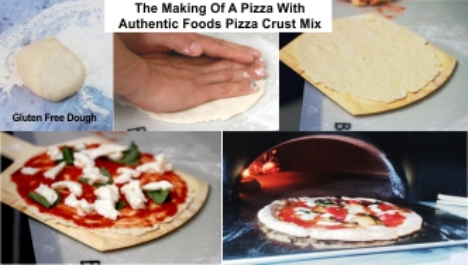 (2) Roll the dough into a circular shape (3) Put on toppings, bake and serve. 1 package will make a 16 to18 inch pizza.